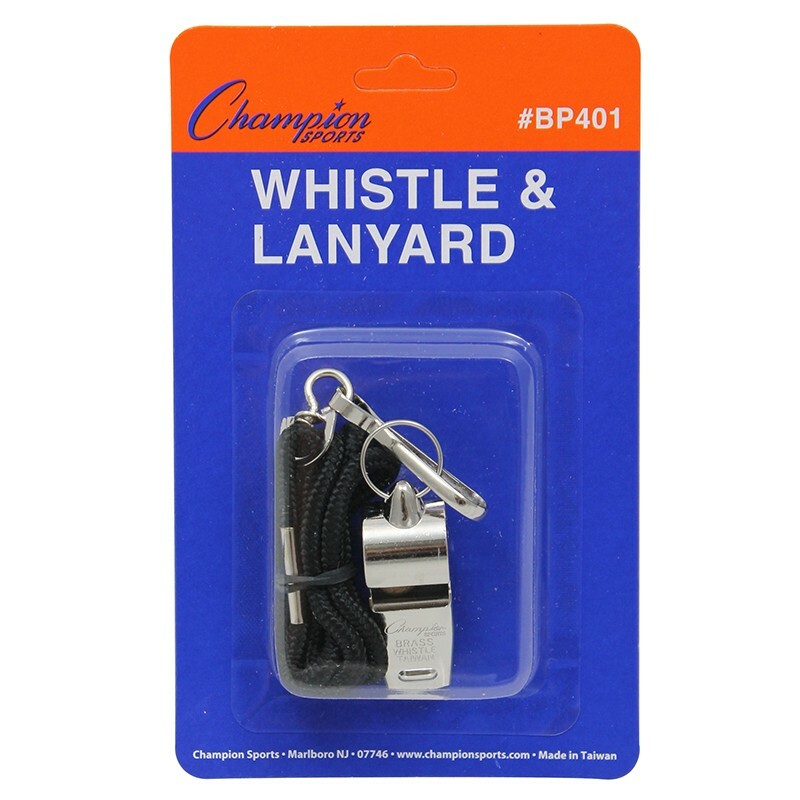 The Champion Sports Whistle and Lanyard Combo includes a heavy-duty nylon lanyard with a heavy weight metal whistle. Ideal for coaches and teachers, this convenient combo features a metal J-hook for quick and easy attachment. 601 whistle and 125-BK lanyard. Blister pack. Pack 12. Black/Silver. Bundle of 6 Whistles.